First row (standing) left to right: MATTA President Datuk KL Tan, STB General Manager Suzaini Sabdin Ghani, Tourism, Culture and Arts Malaysia Minister Datuk Mohamadin Ketapi, Tourism Malaysia chairman Datuk Ahmad Shah Hussein Tambakau with Sabah agents (standing behind) witnessing the launch of the East Coast package. KOTA KINABALU: The world’s centuries-old love affair with Borneo centres around her impenetrable rainforests and exotic creatures and cultures. Sir David Attenborough once said that Borneo is one of the most unique and biodiverse places on this planet. Today, much of Borneo, specifically Sabah, the northern Malaysian state in the island, are still mostly untouched, and the government intends for it to stay that way. This month at the World Travel Mart, Sabah Tourism introduces a sampler of this exoticness through an East Coast-themed packaged tours loaded with Bornean wilderness. Tour designs vary from length of stay to levels of difficulty for experiences in Sabah’s Sandakan, Lahad Datu and Tawau divisions where high concentration of rustic surroundings, natural settings and wildlife can be seen. Promises of primate-spotting of up to ten species, from the smallest Western Tarsier to the great ape orang-utan; to bizarre creatures like flying snakes and carnivorous plants all compacted in Sabah. About 60% of Sabah is covered with vegetation and out of that, 30% or 2.2 million hectares will be totally protected areas by 2025. 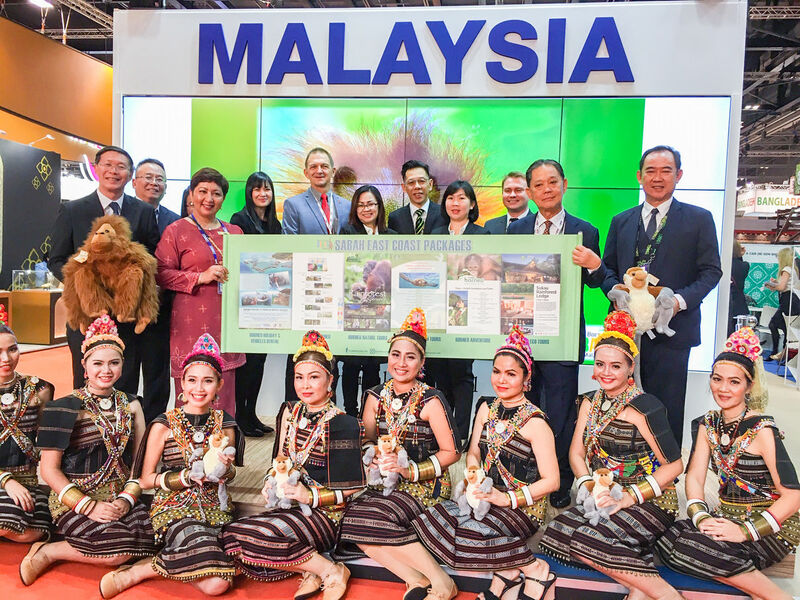 General Manager of Sabah Tourism Board, Suzaini Sabdin Ghani who was representing the Minister of Tourism, Culture and Environment Sabah, when launching the East Coast packages at Excel said, “Sabah is the lead for conservation work in Malaysia and it shows. Our strong policies keep much of our land intact and conservation areas like Maliau Basin, Danum Valley and Imbak Canyon exemplary models. Suzaini also stated that the board is partnering with various regional airlines in re-establishing long-haul connectivity and direct access to Sabah’s wilderness. The recent partnership with BBC presenter Kate Humble, who experienced Sandakan herself, enabled the board to reemphasize visiting the East Coast to a wider audience, Suzaini said. Next year, the board will further use digital marketing to intensify the exposure and reach needed to draw interests in Sabah’s conservation gems in the East Coast. Surely, the world’s fascination with Borneo will continue.